As an antipasto to the annual Les Étoiles gala in Rome — this year a sold out two days, next year there will be three — in the luxurious setting of the Hotel de Russie near the Spanish Steps, there was an intimate reception hosted by the hotel, with a Sergei Diaghilev theme. 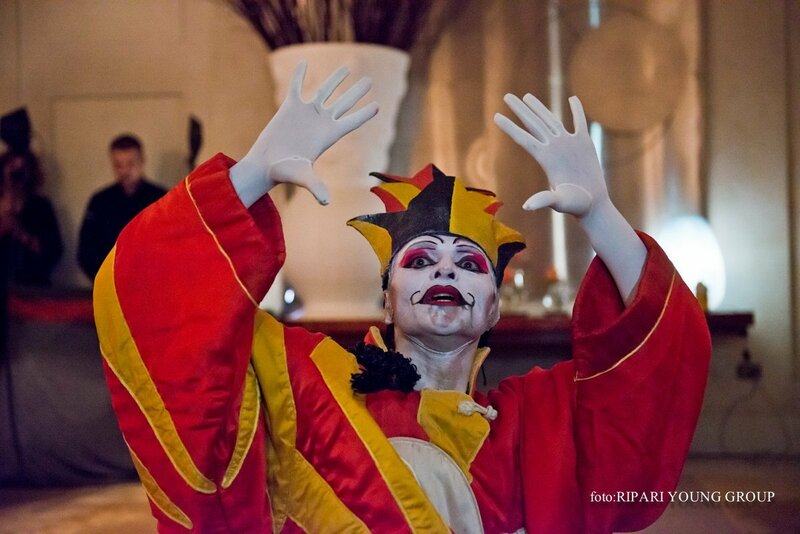 The event was organised by Anna Lea Antolini together with Daniele Cipriani Entertainment. Cipriani has, in recent years, become the premier classical dance promoter in Italy. Although there were no Diaghilev-commissioned pieces in the gala, most of the dancers taking part were Russian or from former Soviet countries: Maria Alexandrova and Vladislav Lantratov, Olesya Novikova and Leonid Sarafanov, Polina Semionova, Bakhtiyar Adamzhan, Tatiana Melnik and Vadim Muntagirov. 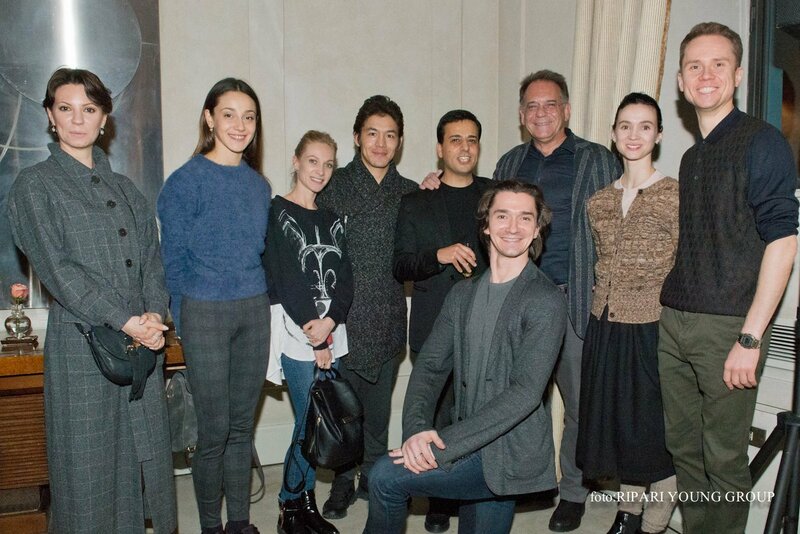 The first four of these — couples on and off stage — attended, along with Melnik who currently dances with the Hungarian National Ballet, Adamzhan from the Astana Opera Ballet (Kazakhstan), and also the very un-Russian Nicoletta Manni was present, the Principal Dancer from La Scala in Milan. 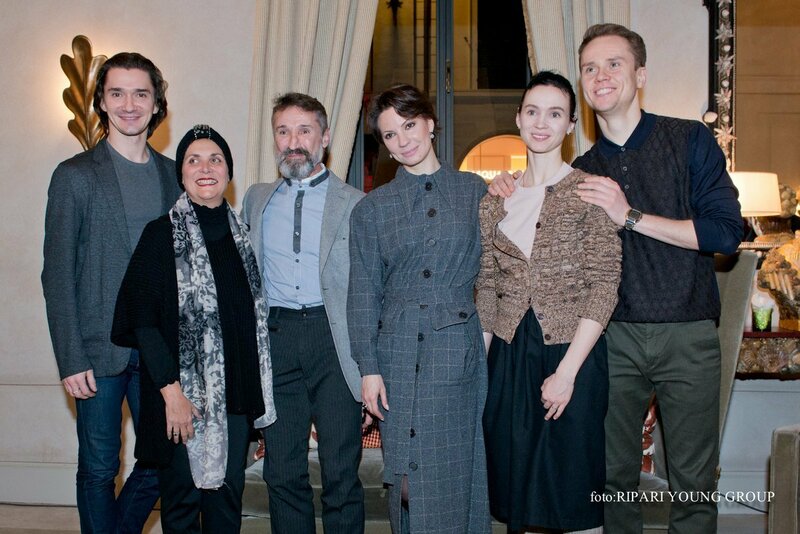 The other dancers who participated in the gala over the next couple of days were Marianela Nuñez and Sergio Bernal. Dmitry Semionov was also on stage to join his sister for Nacho Duato’s Cello Duet. Anna Lea Antolini from the Rome Opera Ballet’s press office introduced Diaghilev’s world (with the head of Daniele Cipriani’s press office, Simonetta Allder, translating her words into English for the very international gathering). The centrepiece of the evening was former Rome Opera Ballet Principal Dancer Manuel Paruccini dancing the Chinese Conjurer from Léonide Massine’s ballet Parade with its gloriously eclectic and eccentric music by Erik Satie. He wore a copy of the original costume designed by Pablo Picasso. Paruccini learnt the choreography from Massine’s son Lorca when Carla Fracci directed the Rome Opera Ballet in 2008 and her husband, the director Beppe Menegatti, mounted one of several programmes dedicated to the works of Diaghilev and the Ballet Russes. It was quite surreal sitting around on sofas as Paruccini danced — quite brilliantly and intriguingly — in the centre of the room. Afterwards, he explained the ideas behind some of the gestures: the egg for example. The conjuror feigns taking an egg from his pigtail, places it into his mouth, and the ‘egg’ descends through the intestine Picasso designed on the front of the costume, reappearing from his shoe. He also breathes imaginary fire from his mouth, fanning it with his hands until it becomes a pillar of fire. A few brief words from the Russian dancers were tender and true. Lantratov said how it was always such an honour and pleasure to come to a place so steeped in culture, Novikova said that it was the country that had produced two of her favourite ballerinas (Carla Fracci and Alessandra Ferri) and Alexandrova seemed to be wowed by the food, “It’s not true that we ballerinas don’t eat!” In fact, shortly after the champagne corks started popping, the Russian contingent comically left the reception, backwards, with undulating port de bras, heading off to a local restaurant for a plate of spaghetti all’amatriciana.